Dear diary - Today I went on an adventurous day trip with 3 others photographers and one normal person. We made plans to get up early and catch the ferry across to Toronto Island to make the most of the awesome cold weather we have been experiencing lately. Lake Ontario aka. Toronto's best friend and next door neighbour has frozen over between the cityscape and the island, giving locals the chance to play around on the thick sheets of ice. We took a rugby ball, some hockey sticks, ice skates and just enough camera gear to ensure we would surely drown if the ice broke. Check below to see if it did. As an artist there is no better feeling than witnessing your vision come to life. Red Bull called me up about a month ago and told me about an event happening in Regina, Saskatchewan called Kite Farm. A ski and snowboard kiting endurance race, the first of it's kind to be held in North America. They wanted to know if I could come up with some cool ideas about how to photograph it and they would support me with the funds required to make it happen. I looked around in the snow kiting world to see what sort of images had been shot before. I needed to think outside to box and I relished the challenge to create something that had never been done before. 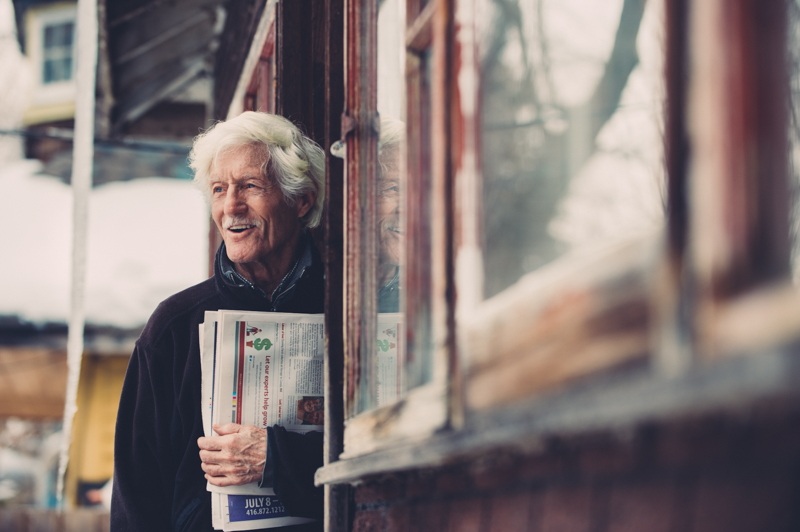 I had images floating around in my head, visions of what I wanted to capture. They were abstract and artsy, not your typical action sports photograph you would see from other agencies like Getty. But I pitched the idea to the guys at Red Bull and to my delight, they loved it! It involved achieving the advantage of height. I looked at various options (helicopters/drones/cranes/booms) but I settled on the tried and tested aerial photography device, a 4 seater Cessna airplane piloted by the nice guys at the Regina Flying Club. On top of the aerial photo I had to have a plan B in place incase the weather wasn't going to be safe for flying. So I set up a GoPro in one of the competitors kites with the help of some tips I had received from a kite surfing friend. This would ensure I would be delivering some unique photos regardless of how crazy the weather would be. The words I used to described the vision I wanted to capture from the plane to the client was "I want sprinkles on an icing cake". While flying 1000ft in the air above the event - colourful kites lined up on the white snow covered prairies to begin the race, and in that moment, I had my sprinkles, and I was stoked! My vision had come true, and all I had to do was hit the shutter. Huge thanks to the team at Red Bull Canada especially Ryan Brown for making this possible, for giving me creative freedom and for having faith in my abilities to make this idea come to life. It also happened to be my birthday that day. So not only did I get a massive birthday cake with sprinkles! But the entire crew and competitors sung happy birthday to me after photographing their group shot. 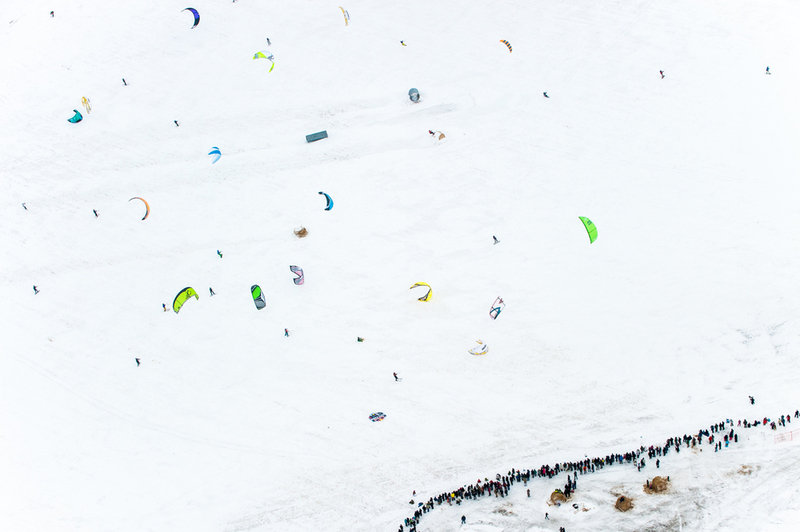 So much love for the snow kiting community!